Reminder :: November 2015 Meeting This Thursday! REMINDER :: NOVEMBER MEETING THIS THURSDAY! • Our November meeting is this Thursday, November 19, 2015 at 7pm at Rock Paper Scissors. • 3rd Quarter Bee Block Swap: If you are part of the “Megahive” Bee block swap, please bring your blocks to this meeting. 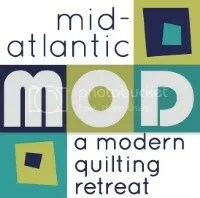 • Mid Atlantic MOD modern quilting retreat: The link and access code to register for Mid Atlantic MOD will be emailed to members by tomorrow morning, Wed., November 18. Early Registration opens tomorrow night at 7pm EST. If you are a member and do not receive an email with the access code and registration link by noon on Wed., November 18, please email njmqginfo at gmail dot com immediately. • We will be voting on our 2016 Membership Dues amount at this meeting. The Executive Board proposes to keep the 2016 Membership Dues at the current rate of $50 per year. • We will open up Membership Renewal and will be accepting New Members. Each renewing/new member must fill out an electronic membership form every year. This form will be updated for 2016 over the next few days. Please do not fill out the form until we notify you that the update has been made. Annette, our Treasurer, will be accepting cash, check and credit cards. Members may also pay via PayPal. We must vote on the membership dues amount first before accepting payment. Membership shall be recognized upon payment of dues and completion of the 2016 Membership Application Form. More details at the meeting. • Important: In order to help Beth and her staff be able to set up for our meeting, we ask that you not set up your chairs before 6:45pm. Thank you! ← Mid Atlantic MOD 2016: Registration Details and Workshops Announced! Daniella, what is your email. Please reply to all.